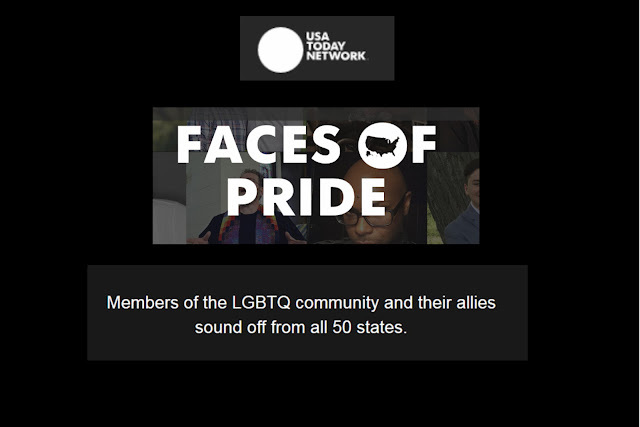 June is pride month for the LGBTQ community and to commemorate USA Today interviewed 50 members and their allies. A beautiful montage of photos, heartwarming stories and support. Read all if you have time. Shown below is my friend's Allison Scott's profile. Thank you USA Today for the articles and support.